What Caused the Collapse of the Angkor Civilization? The Fall of the Khmer Empire - What Caused Angkor's Collapse? So What Caused Khmer's Fall? The fall of the Khmer Empire is a puzzle that archaeologists and historians have wrestled with for decades. The Khmer Empire, also known as the Angkor Civilization after its capital city, was a state-level society in mainland Southeast Asia between the 9th and 15th centuries AD. The empire was marked by enormous monumental architecture, extensive trade partnerships between India and China and the rest of the world, and an extensive road system. Most of all, the Khmer Empire is justifiably famous for its complex, vast, and innovative hydrologic system, water control built to take advantage of the monsoonal climate, and cope with the difficulties of living in a tropical rainforest. The date for the empire's traditional collapse is 1431 when the capital city was sacked by the competing Siamese kingdom at ​Ayutthaya. But the fall of the empire can be traced across a much longer period of time. Recent research suggests that a variety of factors contributed to the weakened state of the Empire before the successful sacking. The Angkor civilization's heyday began in AD 802 when King Jayavarman II united the warring polities collectively known as the early kingdoms. That classic period lasted more than 500 years, documented by internal Khmer and external Chinese and Indian historians. The period witnessed massive building projects and expansion of the water control system. After the rule of Jayavarman Paramesvara beginning in 1327, internal Sanskrit records stopped being kept and monumental building slowed and then ceased. A significant sustained drought occurred in the mid-1300s. Angkor's neighbors also experienced troubled times, and significant battles took place between Angkor and neighboring kingdoms before 1431. Angkor experienced a slow but constant decline in population between 1350 and 1450 AD. Several major factors have been cited as contributors to the demise of Angkor: war with the neighboring polity of Ayutthaya; conversion of the society to Theravada Buddhism; increasing maritime trade which removed Angkor's strategic lock on the region; over-population of its cities; climate change bringing an extended drought to the region. The difficulty in determining the precise reasons for Angkor's collapse lies in the lack of historical documentation. Much of Angkor's history is detailed in Sanskrit carvings from the polity's temples as well as reports from its trade partners in China. But documentation during the late 14th and early 15th centuries within Angkor itself fell silent. The Khmer Empire's principal cities--Angkor, Koh Ker, Phimai, Sambor Prei Kuk--were engineered to take advantage of the rainy season, when the water table is right at ground surface and rain falls between 115-190 centimeters (45-75 inches) each year; and the dry season, when the water table drops up to five meters (16 feet) below the surface. To counteract the ill effects of this drastic contrast in conditions, the Angkorians constructed a vast network of canals and reservoirs, with at least one of these projects permanently changing the hydrology in Angkor itself. It was an immensely sophisticated and balanced system apparently brought down by a long-term drought. Archaeologists and paleo-environmentalists used sediment core analysis of soils (Day et al.) and dendrochronological study of trees (Buckley et al.) to document three droughts, one in the early 13th century, an extended drought between the 14th and 15th centuries, and one in the mid to late 18th century. The most devastating of those droughts was that during 14th and 15th centuries, when decreased sediment, increased turbidity, and lower water levels were present in Angkor's reservoirs, compared to the periods before and after. The rulers of Angkor clearly attempted to remedy the drought using technology, such as at the East Baray reservoir, where a massive exit canal was first reduced, then closed off entirely during the late 1300s. Eventually, the ruling class Angkorians moved their capital to Phnom Penh and switched their main activities from inland crop growing to maritime trade. But in the end, the failure of the water system, as well as interrelated geopolitical and economic factors were too much to allow a return to stability. Since Angkor's rediscovery in the early 20th century by pilots flying over the densely overgrown tropical forest region, archaeologists have known that the urban complex of Angkor was large. 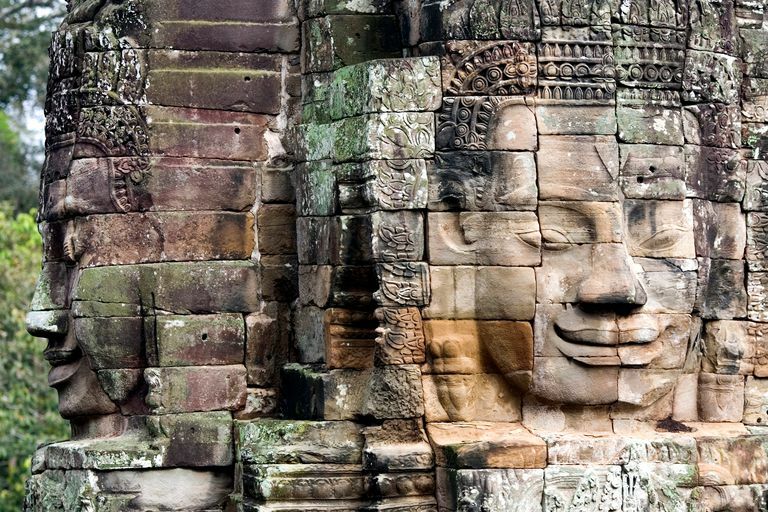 The main lesson learned from a century of research has been that the Angkor civilization was much larger than anyone would have guessed, with an astounding five-fold increase in the number of identified temples in just the last decade. Remote sensing-enabled mapping along with archaeological investigations have provided detailed and informative maps which show that even in the 12th-13th centuries, the Khmer Empire was stretched across most of mainland Southeast Asia. In addition, a network of transportation corridors connected far-flung settlements to the Angkorian heartland. Those early Angkor societies profoundly and repeatedly transformed the landscapes. Remote-sensing evidence also shows that Angkor's expansive size created serious ecological problems including over-population, erosion, loss of topsoil, and forest clearing. In particular, a large-scale agricultural expansion to the north and a growing emphasis on swidden agriculture increased erosion which caused sediments to build up in the extensive canal and reservoir system. This confluence led to declining productivity and increasing economic stress at all levels of society. All that was made worse by droughts. However, a number of factors weakened the state besides climate change and declining regional instability. Although the state was adjusting their technology throughout the period, the people and societies in and outside of Angkor were in increasing ecological stress, particularly after the mid-14th-century drought. Scholar Damian Evans (2016) argues that one problem was that stone masonry was used only for religious monuments and water management features such as bridges, culverts, and spillways. The urban and agricultural networks, including the royal palaces, were made of earth and non-durable materials such as wood and thatch. A century of research later, according to Evans and others, there still simply isn't enough evidence to pinpoint all factors which led to Khmer's downfall. This is especially true today, in taking into account that the complexity of the region is only beginning to become clear. The potential is there, however, to identify the precise complexity of the human-environment system in monsoonal, tropical forested regions. The importance of identifying the social, ecological, geopolitical, and economic forces leading to the downfall of such an enormous, long-lived civilization is its application to today, where elite control of the circumstances surrounding climate change is not what it could be. Buckley BM, Anchukaitis KJ, Penny D, Fletcher R, Cook ER, Sano M, Nam LC, Wichienkeeo A, Minh TT, and Hong TM. 2010. Climate as a contributing factor in the demise of Angkor, Cambodia. Proceedings of the National Academy of Sciences 107(15):6748-6752. Caldararo N. 2015. Beyond Zero Population: Ethnohistory, Archaeology and the Khmer, Climate Change and the Collapse of Civilizations. Anthropology 3(154). Day MB, Hodell DA, Brenner M, Chapman HJ, Curtis JH, Kenney WF, Kolata AL, and Peterson LC. 2012. Paleoenvironmental history of the West Baray, Angkor (Cambodia). Proceedings of the National Academy of Sciences 109(4):1046-1051. Evans D. 2016. Airborne laser scanning as a method for exploring long-term socio-ecological dynamics in Cambodia. Journal of Archaeological Science 74:164-175. Iannone G. 2015. Release and reorganization in the tropics: a comparative perspective from southeast Asia. In: Faulseit RK, editor. Beyond Collapse: Archaeological Perspectives on Resilience, Revitalization, and Transformation in Complex Societies. Carbondale: Southern Illinois University Press. p 179-212. Lucero LJ, Fletcher R, and Coningham R. 2015. From ‘collapse’ to urban diaspora: the transformation of low-density, dispersed agrarian urbanism. Antiquity 89(347):1139-1154. Motesharrei S, Rivas J, and Kalnay E. 2014. Human and nature dynamics (HANDY): Modeling inequality and use of resources in the collapse or sustainability of societies. 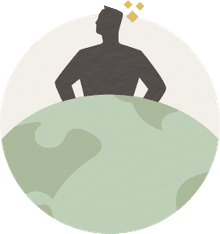 Ecological Economics 101:90-102. Stone R. 2006. The end of Angkor. Science 311:1364-1368.